GENERAL BOOKING IS NOW OPEN. Wings & Wheels is not only a fantastic day out but represents great value for money. A discount is available on general admission tickets purchased in advance but tickets are also available on the gate. Not sure on which day to attend? Wings & Wheels offers a single day ticket which can be used once on either Saturday or Sunday. We are also selling a two day ticket for those who want to enjoy a whole weekend of air and motoring magic (only available in advance)! Visit the See Tickets booking service by clicking here. Booking and transaction fees apply. Tickets are available until 12pm on Wednesday 12th June 2019. Call 0871 230 5572 to speak to an operator. Calls cost 13p per minute from a BT landline plus network extras. PLEASE NOTE: If you have purchased tickets online or via our telephone booking line and have a question about your booking please contact See Tickets direct on: 0871 230 5572 or click on the following link to track your tickets: https://www.seetickets.com/CustomerService. 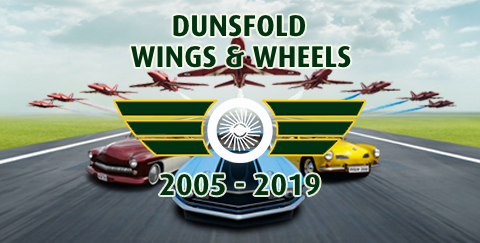 The Wings & Wheels team are unable to help with enquiries relating to See Tickets purchases. Ticket concessions are only available at Wings & Wheels over the show weekend. A 10% discount is available on standard entry tickets only for students in full time education and for visitors over the age of 65. For students wishing to receive the discount a valid student ID card must be presented and for those 65+ a drivers license showing date of birth, passport, travel card or birth certificate. We are unable to offer these concessions in advance online, in person or by telephone. To claim your free carer ticket, please email or post your booking reference number and a copy of certification. Without this proof, we are unable to provide a carer ticket. This offer is available in advance up until Friday 7th June 2019. Applications received after this date, will not be processed. The free carer ticket will be posted to you before the show weekend. If you have any particular questions or requirements please use the contact form on the website. The Organisers reserve the right to check a person's eligibility under the Disability Discrimination Act (DDA).